This update includes a mixture of items – some adding to existing ones and others new. 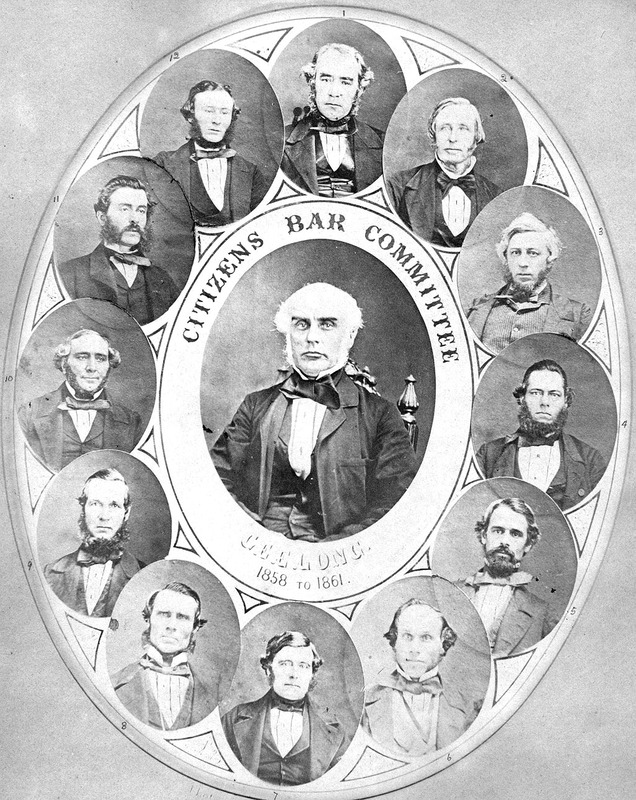 Because this lot includes both Assisted and Unassisted Immigrants to Geelong [actually Point Henry] it seemed appropriate to include this photo of the Geelong Citizens’ Bar Committee 1858-1861 – the group representing the citizens of Geelong to arrange the removal of the sandbar across the entrance to Corio Bay. This sandbar stopped ships carrying immigrants from overseas from sailing into Corio Bay and the wharves of Geelong. The end result was these ships dropping anchor east of Point Henry leaving the immigrants a long journey into Geelong. Some members of the Bar Committee were William G McKELLAR, chairman; Frederick CHAMPION, vice-chairman; and Walter M HITCHCOCK, secretary]; Peter HUDDART; James Clark WALLACE; John MATTHEWS; George A STEPHEN; John NOBLE; and Captain F TROUTON.